“I just wish I could be happier.” Many clients who come in for therapy describe their life as one that is lacking—lost relationships, missed opportunities, or even just not enough time. Other clients may be able to point to many happy moments, but still find themselves feeling disconsolate for reasons they cannot understand. The pursuit of happiness looks different for each of us, but is common across the human experience. Whether trying something new or diving into an old hobby, we generally seek to secure so form of happiness to bolster our day-to-day lives. Yet despite this ubiquitous search, many of us struggle to find what we’re looking for. Fortunately, many studies have demonstrated that there is one key ingredient that can lead to a happier lifestyle—gratitude. Gratitude has been shown to be a significant predictor of altruism, resilience to trauma and stress, improved relationships, and decreased feelings of loneliness. Naturally, these changes have ripple effects to our sleeping habits, our grades—even our immune system! 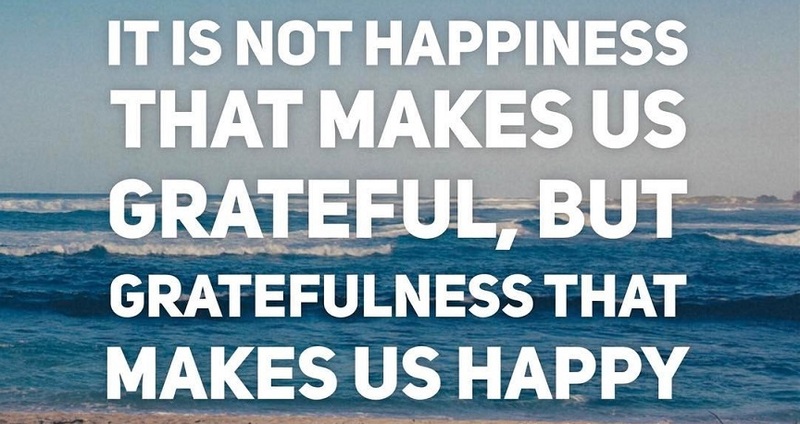 This, in part, is because being grateful requires a mental shift; instead of lamenting the things we lack, we are adopting a positive outlook by noting those things for which we are grateful. This small change can often begin to hit the “reset button” on our mood, helping us to pull out of the negative nosedive into which our brain’s autopilot may have fallen, restoring some balance and positivity to our mental state. One great way of practicing gratitude is to literally list out a few things for which we’re grateful in a gratitude journal. A gratitude journal can be anything you like—a notebook, a note on your phone, or even just some scrap paper (nobody said you had to keep the journal after you’ve written it! Having a journal to reflect on later is great, but the exercise itself is most important.). Sometimes taking the time to sit down and job down a short list or paragraph’s worth of things for which we’re grateful not only helps us to brainstorm the things for which we’re most grateful, but it also helps us get into the habit of mindfully noticing those things to begin with. Gratitude journals can feel awkward to begin, but the process can be as involved or simple as you like–you can start from scratch, or find are prompts online to get your started. There’s no wrong way to approach the exercise. Try this—look around you right now and notice what you see. Sunshine outside? Pictures of your kids or loved ones? Are you at your desk at a job that you earned? Are there people around you who care about you? Sometimes it’s helpful to physically stand up and take a short walk, observing the world around you and looking for things for which you feel grateful. This can an especially meaningful way of turning a sour mood around because it combines mental exercise with physical; by standing up and taking a short walk, you can symbolically step away from the sadness or frustration and attempt to turn your mood around by trying to adopt a positive outlook and connecting with your feelings of gratitude. Another useful exercise is to write a letter to someone to whom you feel especially grateful. Set aside 5-10 minutes to just write without worrying about grammar, clarity, or spelling; this letter isn’t one you’ll deliver (unless you want to!). Rather, this letter is an opportunity for you to express your gratitude to this person without holding anything back. Many people choose to write to a friend, a relative, or a loved one, but sometimes the most powerful gratitude letters are ones that are written to ourselves. Taking the time to thank ourselves for the little things we’ve accomplished or the things that we’ve done for which we’re most proud can grant us the credit that many of us may not be in a habit of doing. Did you take steps toward your goals today? Did you do anything to take care of yourself? Those of us who focus on achieving perfection may overlook small steps toward progress, but we deserve recognition for those too. If nothing else, you can express gratitude to yourself for caring about your happiness and emotional state to make it a priority by setting aside 5-10 minutes to practice some self-kindness. There are many others ways to connect with our feelings of gratitude, but they all require some mindful intentionality. We must have the ability and the awareness to recognize when our mood is starting to take turns for the worse, and have the motivation to step outside of that and practice feeling gratitude in spite of the negativity–in some ways, this is the most important time. Doing this on our own isn’t always easy—we struggle to connect with the feelings because we’re just so sad, or our life feels in such disarray that we can’t seem to identify things for which we’re grateful. 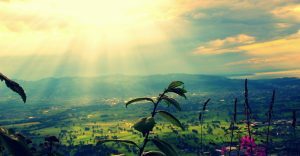 Counseling is a great way to discuss these things in much more depth and detail, as well as explore other ways of self-kindness that can help us lead happier, more fulfilling lives. If you’re thinking about counseling, consider reaching out for a brief 15-minute consult by contacting Bergen Counseling Center at 773-512-4992 and feel grateful to yourself for caring enough about your happiness and wellness to take that first step in connecting with someone who can help.